The automatic transmission fluid in your Tundra needs to be serviced at least once every 50,000 miles. Learn how-to here! The automatic transmission is a great invention that makes daily driving easier and more convenient. Over time, the materials in your automatic transmission degrade and end up in the fluid. The transmission filter will pick some of this up, but some of this material will still end up in your fluid. This dirty fluid cannot do its job of lubricating your transmission and ensuring smooth performance. Therefore, it is recommended to change your transmission fluid every 50,000 miles. If you tow with your Tundra, then consider changing your fluid more regularly. 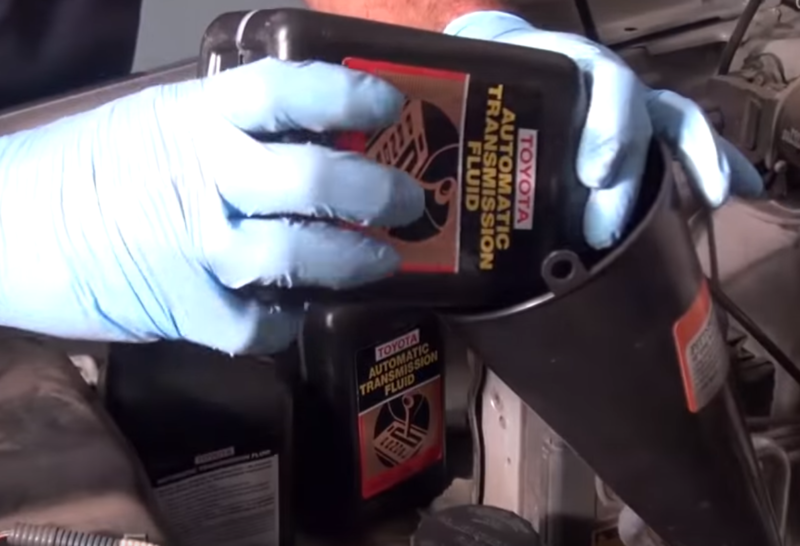 Find out how to change your transmission fluid below. First, make sure your Tundra is cool so the transmission fluid doesn't burn you. Make sure you have rags and your drain pan ready to collect the old oil. Then, take your 14mm socket and loosen the drain plug on your transmission pan. Make sure you do not remove it all the way; instead, like an oil change, keep constant upward pressure on the drain pan bolt. 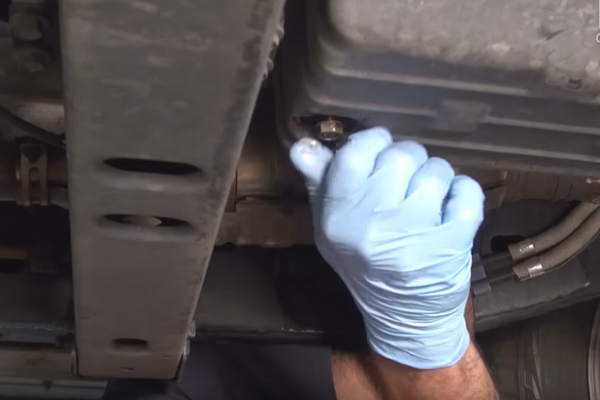 Loosen the bolt enough so that oil starts to drip, then quickly remove it and let the oil drain. Once all of the oil is drained, you can reinstall the drain plug. Figure 1. 14mm drain plug removal. Figure 2. Drain plug installation. The drain plug should not be overtightened because it will be nearly impossible to remove next time. The new fluid needs to be added through the transmission oil dipstick. 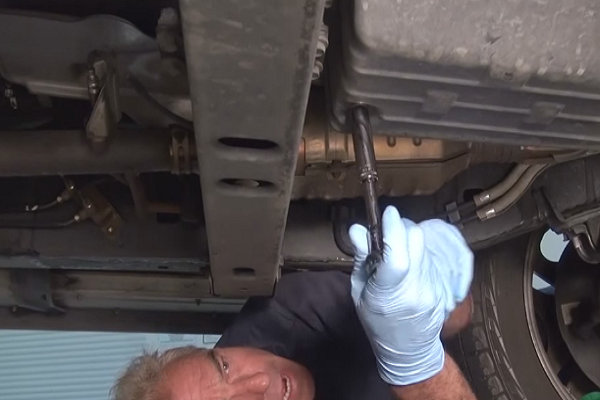 Insert your funnel into your dipstick tube and add the recommended amount of transmission fluid to the dipstick. Do not overfill the transmission fluid; this could cause transmission problems down the road. You have now changed your transmission fluid!